A ‘Bright’ Idea from Silic8! Silic8, part of the Dyegroup have launched their ‘Whitener’ product for restoring white Hill Figures. 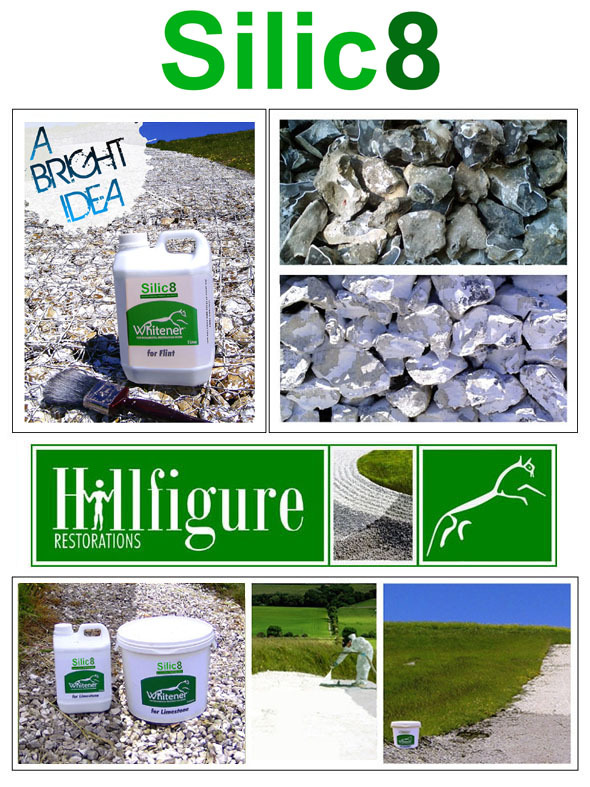 After three years of trials in North Yorkshire, Silic8 are proud to introduce their range of stone whiteners for flint and limestone. Silic8 offer a maintenance service to heritage trusts and restoration groups. 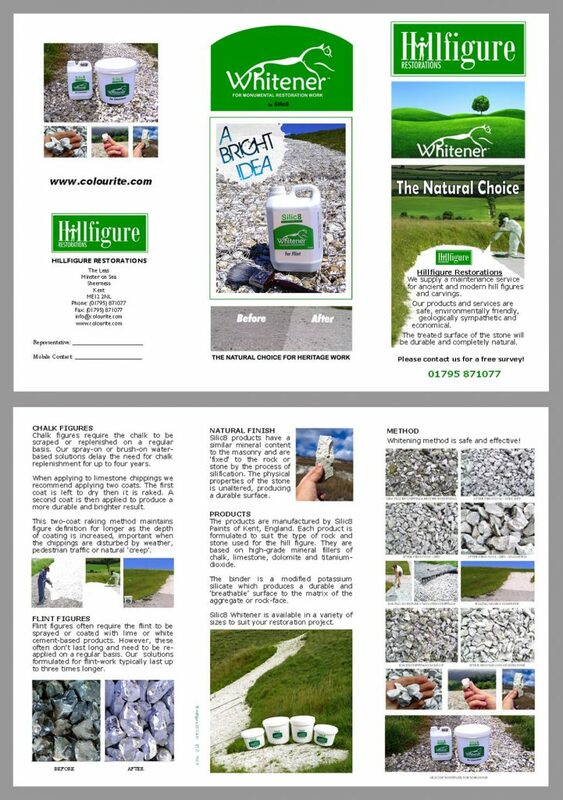 Please contact us for more information and a leaflet. 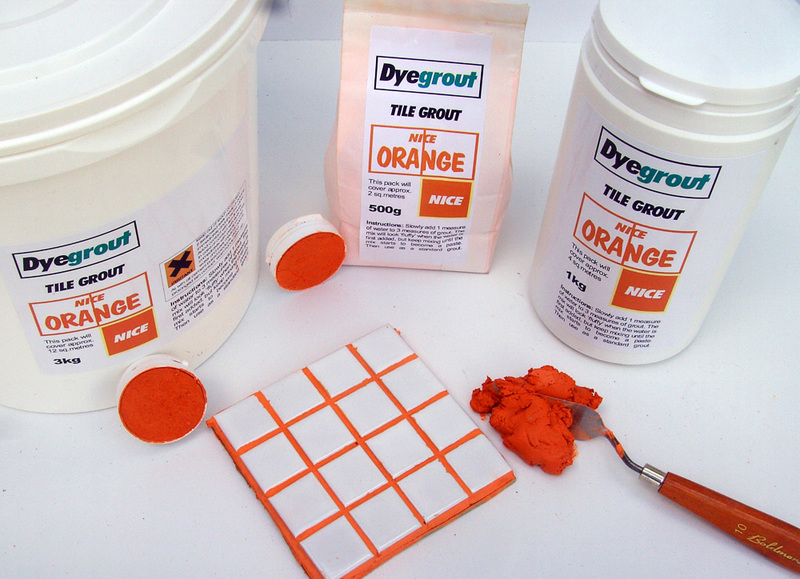 A ‘Nice’ Addition To The Dyegrout Range! Dyegrout, our sister Company, was the first choice for the new ‘Nike Orange’ Advertising Campaign as a strong and vibrant colour was required for special tile display units. We custom matched their bright orange brand-colour with a special high-grade flourescent pigment blend. We are also launching this new colour (called ‘Nice’ Orange) with our new Vibrant Tile-Grout Range early in the New Year. 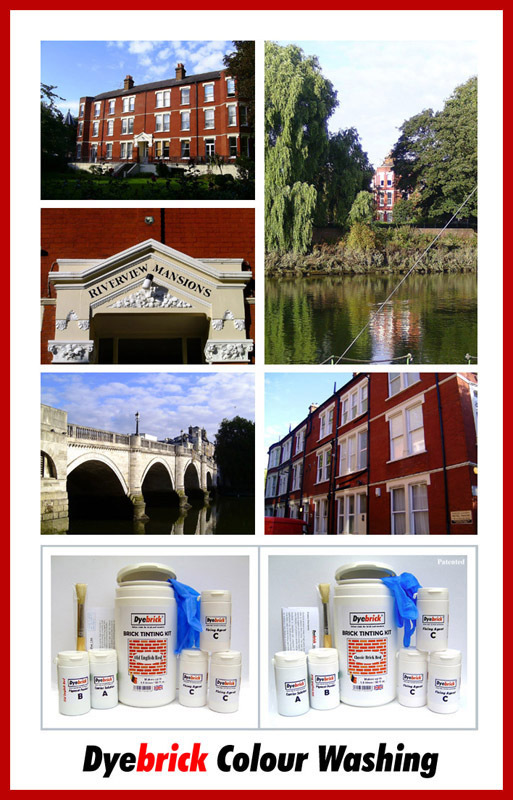 Dyebrick was used as an effective red colour-wash to enhance ‘Riverview Mansions’ by the Thames in London. 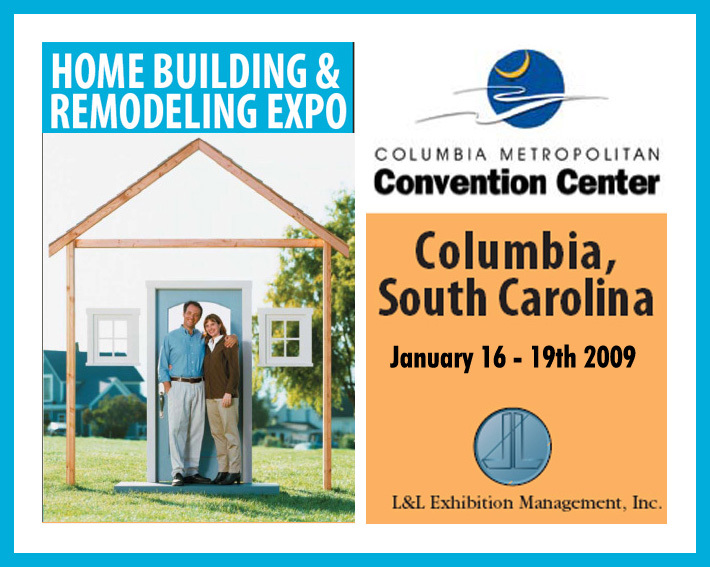 Five of our ‘Six-Packs’ were used for this project. Please contact us for free advice and sample panels when using for large projects. 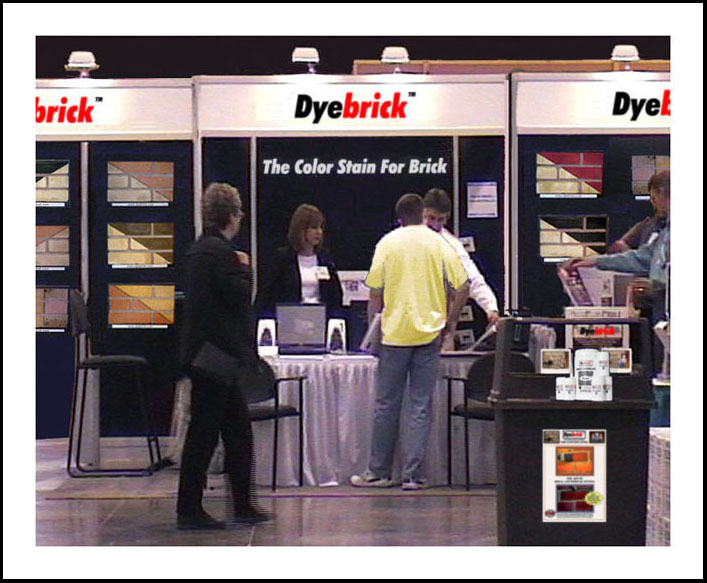 Dyebrick products are chosen by restoration and heritage groups to blend-in obvious extensions and repair work. This particular project was completed 5 years ago and still looks as good as the day it was tinted. 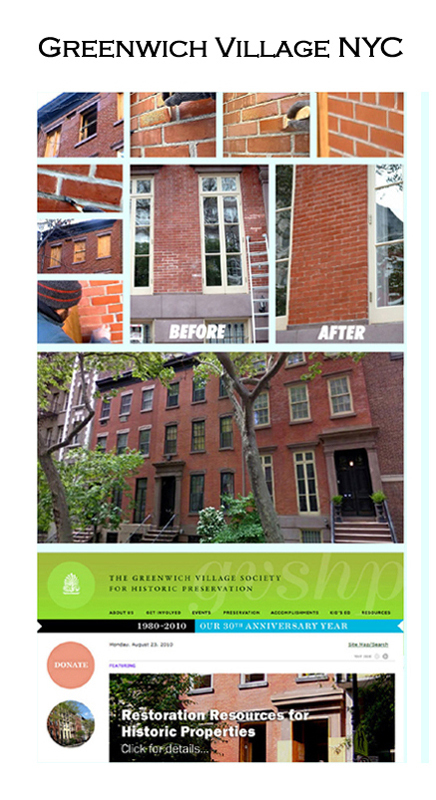 All the repair work was sympathetically disguised using Dyebrick ….and a little artistic flair! Brick-Age on QVC for the first time on the popular ‘DIY on Sunday’ programme. 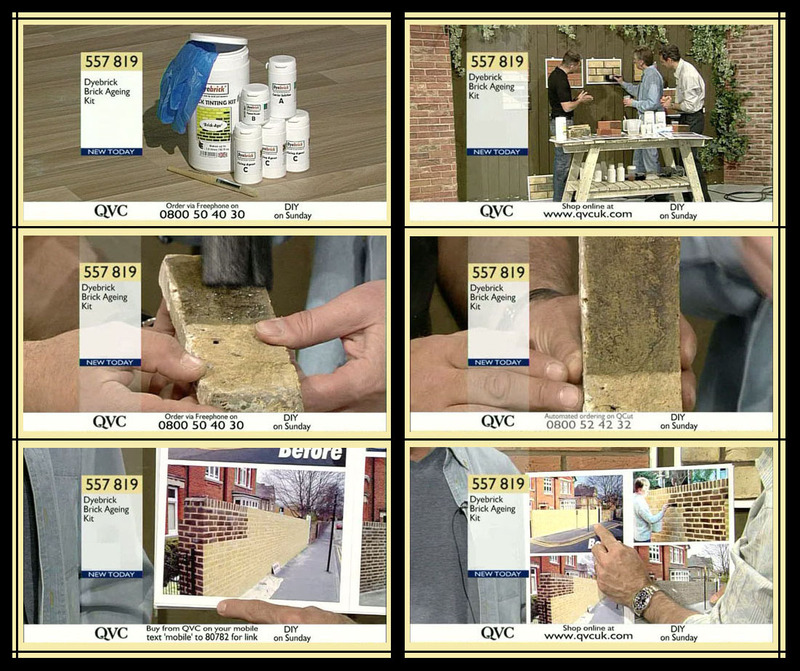 The Dyebrick Brick Staining Kits are introduced on QVC for the first time by Dale Dempsey. 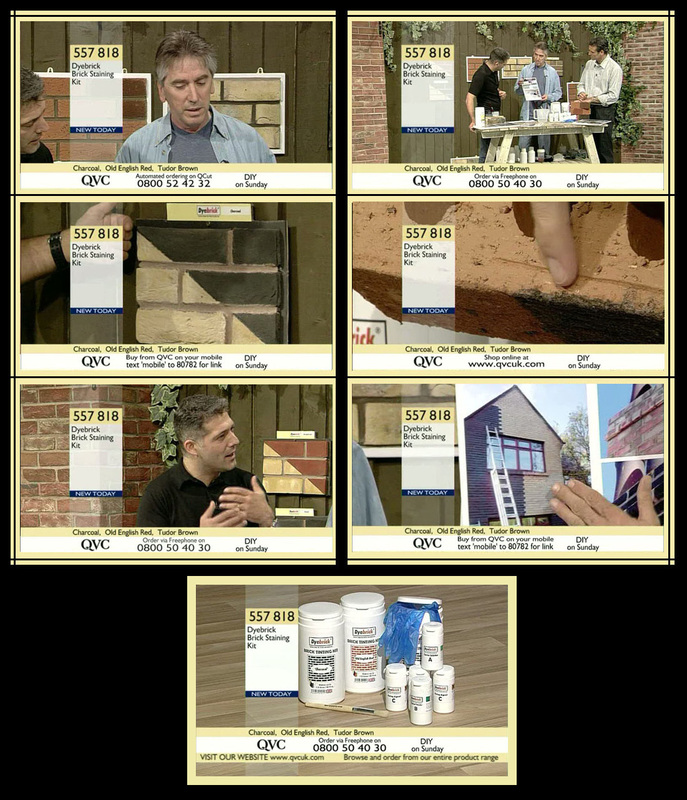 The QVC ‘DIY on Sunday’ is a very popular programme and this weekends show was presented by Orlando Khota and Simon Biagi.